1,080 sq ft; lot: 5 acres - MLS# 1406318 Courtesy of Redfin Corp.
Bring your horses, goats, chickens & dogs! 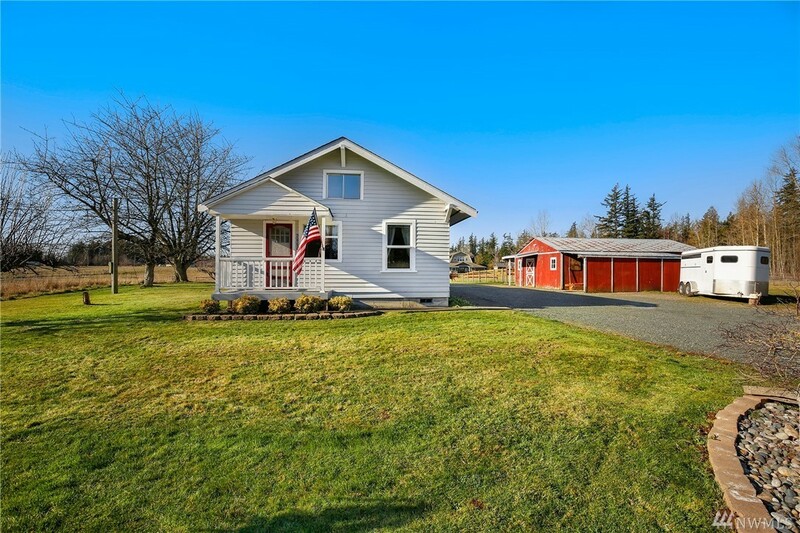 Country living close to town in this charming 1915 farmhouse on 5 flat & sunny acres. Open floor plan with large windows & remodeled kitchen with high end cabinets, stainless appliances, quartz counters & subway tile backsplash. Two bedrooms on the main level plus bonus room upstairs. Bathroom w/original clawfoot tub and custom vanity. Newer roof, water heater & windows as well as updated electrical system. Classic three stall barn plus fenced pasture.